The following pages are regularly updated. To ensure that you see the latest version, you may need to refresh these pages. 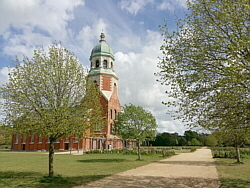 the Royal Victoria Country Park. mini running day. facebook and twitter. Pages in these two groups are frequently updated and may need to be refreshed to keep up to date. Walking pages include Google Maps which may store a cookie in your browser unless cookies are disabled. Example programs in the Acorn, Commodore and Sinclair sections now have their own Downloads section. Links occur throughought the site and are all listed in the Web Links page. External links open a new window in your browser and may install cookies. My favourite places for a walk. Some fast, some slow. Some short, some long. With routes, distances and details. including Walking Diary - My walks detailed each month as they happen. Walking Routes and Walking Diary pages include Google Maps which may store a cookie in your browser unless cookies are disabled. These pages also contain links to other sites which may store cookies in your browser unless cookies are disabled. Local, national and international. Check out the weather here, there, just about anywhere. The Weather Page contains links to other sites which may store cookies in your browser unless cookies are disabled. A former bus conductor's collection. Ticket machines and tickets, timetables, badges and related items from throughout the 20th century. Includes examples and an explanation of the old, pre-decimal money. My sixteen year journey from Winchester to Southampton. The story of how I came to be a bus conductor and the job I did from 1967 to 1983. Hold Tight! is also available in pdf format from the Hold Tight! main page. The Bus Museum and Hold Tight! each have a page of related links to other sites which may store cookies in your browser unless cookies are disabled. 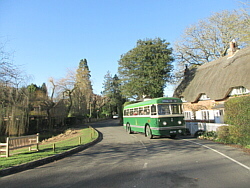 A selection of old photos of buses and photos of old buses. Including Hants & Dorset, King Alfred and Southampton City Transport. The Bus Photos section includes links throughout to other sites which may store cookies in your browser unless cookies are disabled. In schools and in the home - the Atom, the BBC and the Electron. Many people's first contact with computing. From the PET to the 128D, my own introduction to home computing. Computers, peripherals and software. A home computing family history. My collection of Sinclair computers, peripherals and software. The computer sections each have a page of related links to other sites which may store cookies in your browser unless cookies are disabled. Personal Computer News. The complete set, every issue, every cover, all the contents lists. More computer magazines, mostly for Commodore machines. Some of my own programs, some from books and magazines. Disc and tape images for emulators, listings to type in. Adding a little addition. A number of mechanical adding machines and other arithmetical aids. What I've done, in and out of work. A list of my jobs and other activities. A customisable guide to tv and radio programming in the UK. The TV Guide page is suppiled by Digiguide and visiting this page will place cookies on your device. Please visit https://digiguide.tv/general/privacy.asp for more information. If you are happy to accept these cookies, you can go directly to the guide by clicking here and avoid the warning message. Where to find out more. Links to websites, facebook and twitter. Links to other sites. Links open a new window (tab) and may store cookies in your browser unless cookies are disabled. With general information, cookie information, copyright and disclaimer. Includes a link to the Navigate page with information on how to navigate around this website.